As buildings age and decay, populations shift, and industries decline, there is a tendency for some inner-city areas to become run-down and depressed. This can lead to a vicious cycle; those who can afford it choose to move away, and the area becomes increasingly unattractive as a place to live, work, or set up a business. Urban regeneration is an attempt to reverse this cycle, using public and/or private money to inject new life. Until fairly recently, the focus was often on building; slum clearance and infrastructure, such as road schemes, were seen as the key elements in revival. The revival of these parts of the infrastructure still plays an important role in urban regeneration of course. It is also recognised, however, that communities need to be preserved, so the emphasis tends to be more on smaller-scale housing, and retaining and refurbishing landmarks, whilst giving incentives to business and commerce to invest and create employment. Retailing, entertainment, and educational facilities are also useful in turning an area round. 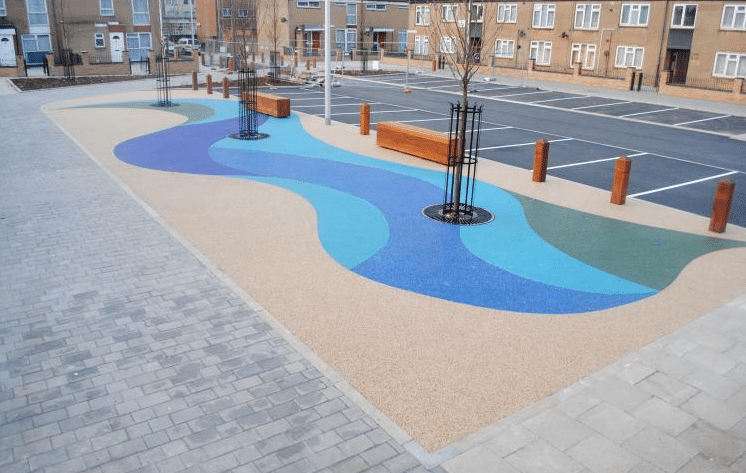 This entry was posted in Urban and tagged anti-slip, surfacing, thorgrip, thortech, urban, urban regeneration. Bookmark the permalink.